People who work in security need protection and usually use bulletproof vests. Security guards and body guards protect other people and face potential danger. People who work in security need to be protected to do their job to protect other people. When working in security there many threats, these threats depends on the work environment and bulletproof vest can save lives. Security guards need to use body armor to stay protected to do their job. Usually people who work in security use concealable bulletproof vest to stay concealed and not to attract unwanted attention. In many cases bulletproof vest in not enough and the vest need to protect against knife stabs and spikes. These vests also used on the VIPs that been protected by the body guards. Part of a job in security is to come into close contact with other people that can harm you. Working in security is not only about protecting VIPs, but also protecting places with money or place that crowded with people. Bank security guard can be shot or stabbed by theft who wants to steal the money. Security guard that works in a mall also need to be protected from the crowd. People who work in security prefer to use covert bulletproof vest under their shirt, this way it will surprise the attacker. If the attacker will see the bulletproof vest he may attack in different way as stabbing to the neck that can end up in death. Our covert security bulletproof vests available in black or white, to make sure the bullet proof vest will match the uniform and be concealed. 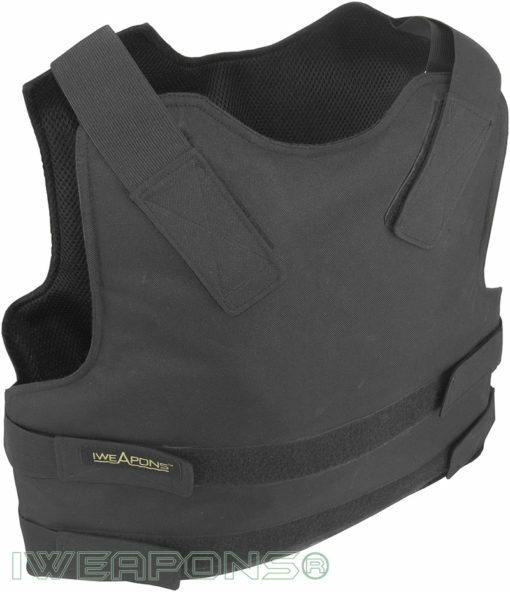 These soft body armor vests come with level IIIA protection and they made for men and women, they lightweight to allow free movement while stay concealed. This vest easily adjusted and come with internal mesh for better comfort in hot climate.